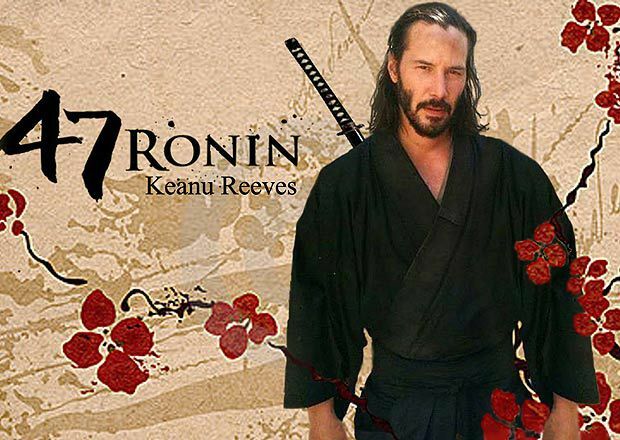 You know the story of the 47 ronin? 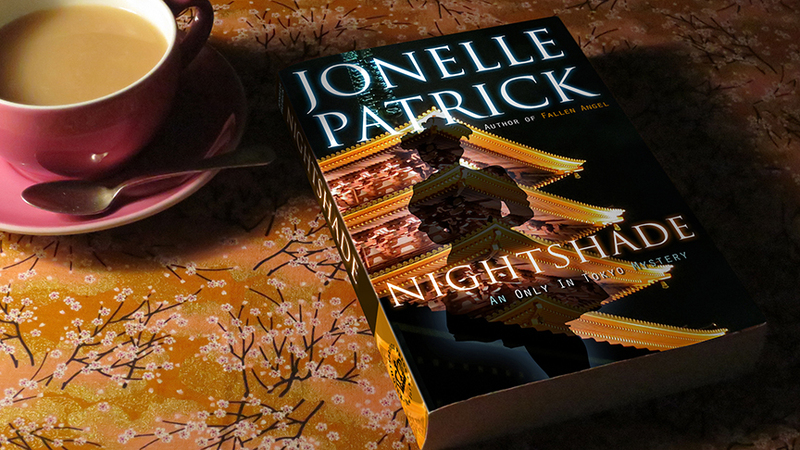 The samurai who avenged their lord, then were all ordered to commit ritual suicide? Well, this is the temple where they’re actually buried. If you want to see a piece of truth that really is stranger than fiction, let’s go to Sengaku-ji Temple. This is the site of the most famous (true) story in Japan. In case you missed the movie: In 1701, Lord Asano drew his sword in Edo Castle and wounded Lord Kira, his malicious mentor. The emperor was outraged, and sentenced Asano to death by ritual suicide. Asano’s title and lands were stripped from his family, and all the samurai who served him were out of a job. The 47 loyal samurai plotted for two years, and in December of 1702 they avenged Lord Asano by cornering Lord Kira and beheading him. They marched his head to Lord Asano’s grave, wrote out a full confession and were sentenced to death by ritual suicide. They’re buried here, along with Lord Asano. Let’s go burn some incense! Keanu Reeves is NOT buried here. Before we go through the gate, take a look at the big green statue on the right. It’s Kuranosuke Oishi, the 47 ronin’s fearless leader. Let’s stop at the little little booth near the statue and pick up the English pamphlet with a map of the grounds, an explanation of the must-see sights, and an excellent version of the 47 ronin’s story. Now let’s go through the gate. That’s the main temple sanctuary straight ahead, but we’re going to turn left and go up the hill to the graveyard. 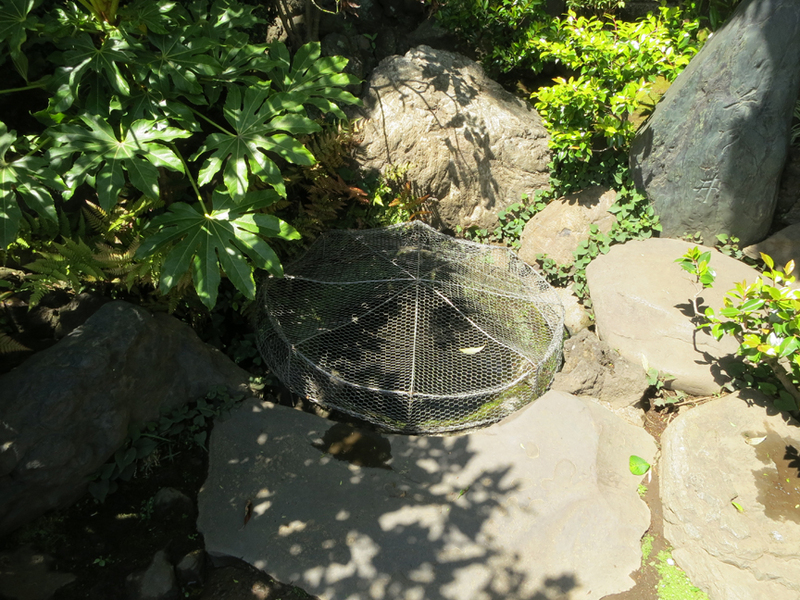 It doesn’t look like much now, but this is the actual well where the 47 ronin washed Lord Kira’s head before they presented it to Lord Asano’s grave! 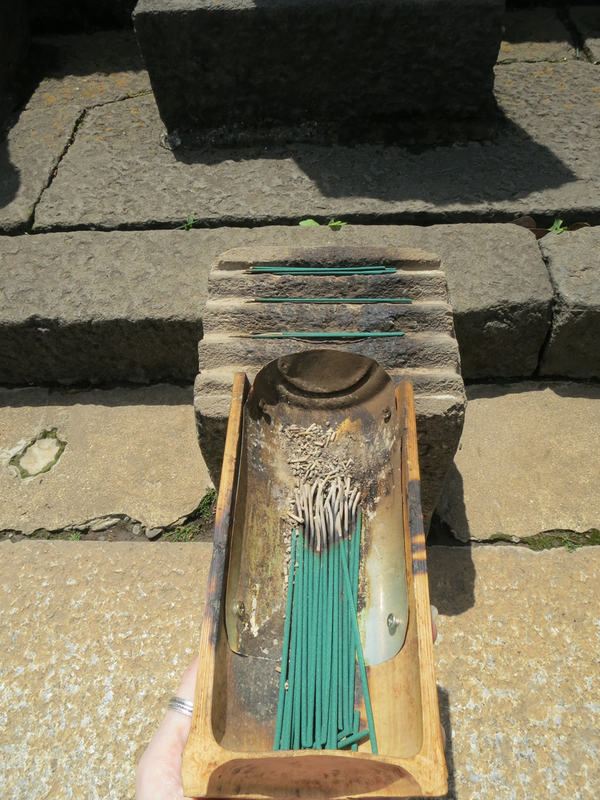 At the top of the steps, let’s buy a bundle of incense from the attendant. He’ll light it for us and put it in a special incense-carrier. Just past the incense guy’s hut on the right is a grand gravesite. This is where Lord Asano is buried. 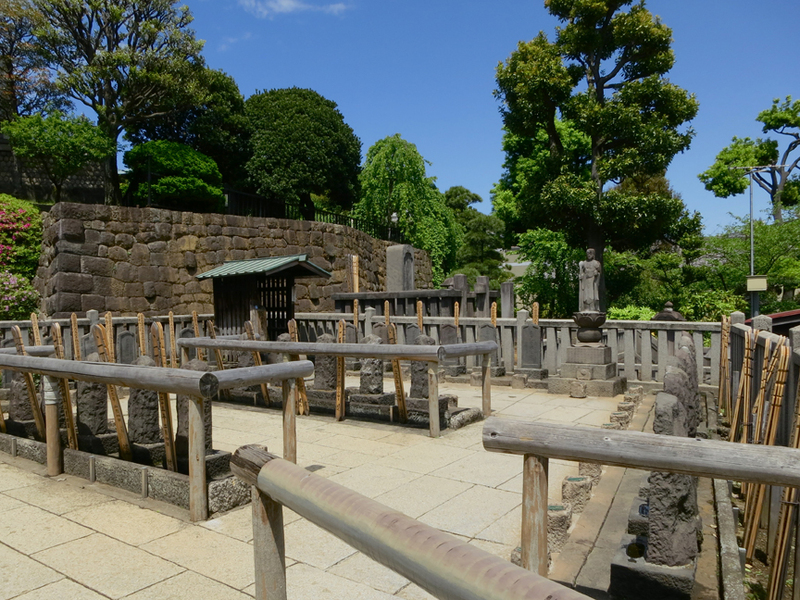 His 47 ronin were laid to rest inside the granite fence beyond. The big wooden hut in the right corner is the grave of Oishi Kuranosuke, the leader. Let’s walk around and leave a stick or two on the little stone altar in front of each grave. Notice that many of the graves have wooden staves sticking up behind them lettered in sanskrit, as well as fresh flowers in the vases. They are still tended by family members, even after three hundred years! After we leave incense for all the ronin, let’s go back down the steps and check out the museum. It’s small, but it has awesome stuff in it, like the actual letter of confession signed by the conspirators and the receipt for Lord Kira’s head. The ticket also includes admission to the second floor of the building across the walkway, where there are wooden statues of all the conspirators. The bios are in Japanese, but it’s easy to tell how old they were when they died. 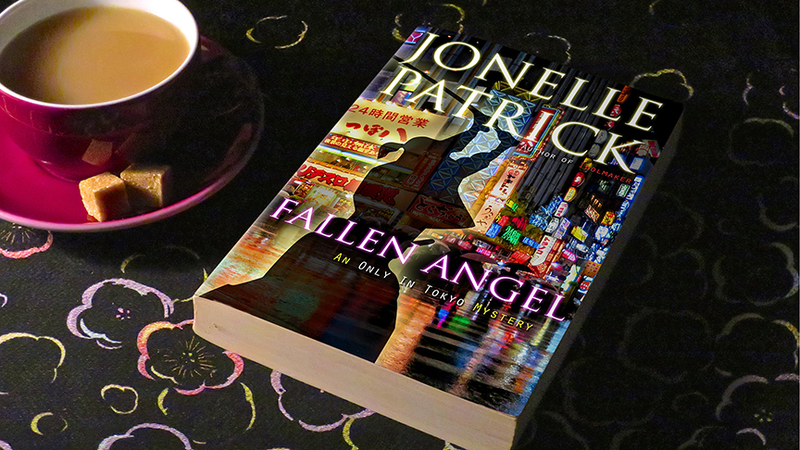 The youngest was Oishi’s son – he was only sixteen. Look at these great figures! 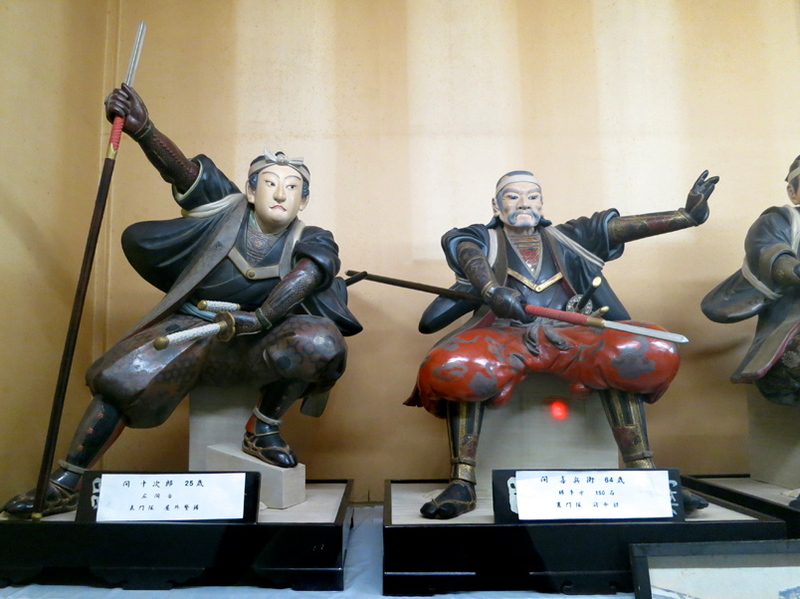 The faithful samurai on the left was 25 when he died, the one on the right, 64. Temple hours: 7:00 a.m. – 5:00 p.m.
Museum hours: 9:00 a.m. – 4:00 p.m.